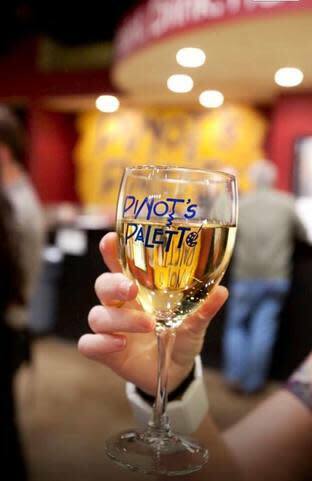 Pinot's Palette is the upscale destination in midtown Coeur d'Alene where you can "Paint. Drink. Have Fun." At our studio, anyone can be an artist and have fun being creative - no art experience required! 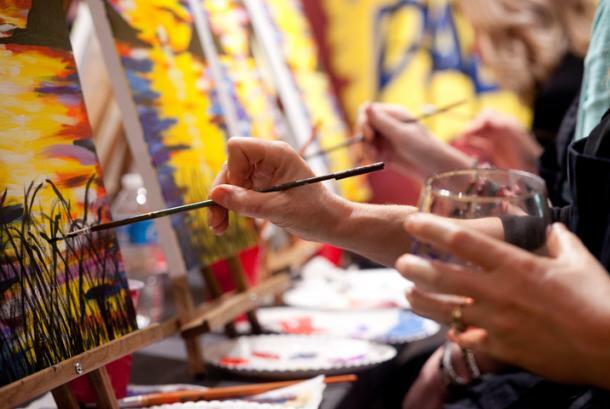 In two or three hours you can create a festive, whimsical and colorful painting while listening to great music and sipping on your favorite beverage from our bar. We keep our bar stocked with local wine and beers, as well as a fun selection of nonalcoholic beverages for purchase. Hours: Available for parties any day and any time. 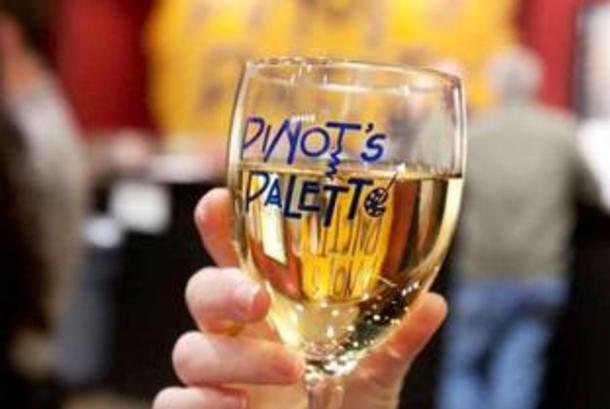 Can view our class calendar here: www.pinotspalette.com/cda/classes. Description Our studio is available to rent out for just $75/hour. We have different painting options to do with your group before, during, or after your meetings as well!